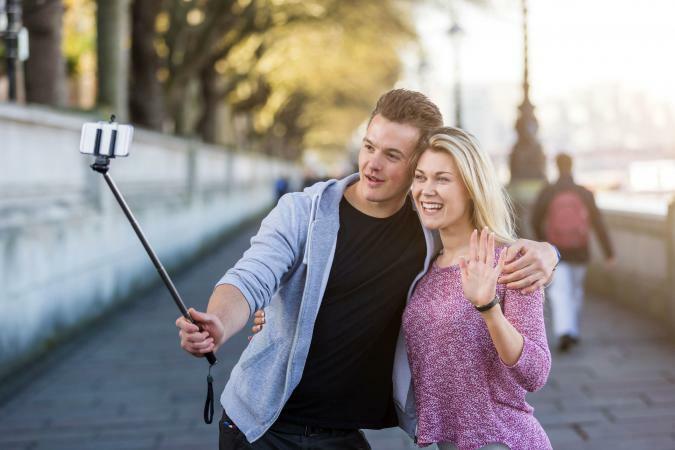 While they may seem like a strange and awkward object to hold and carry around on the go, selfie sticks actually can be quite beneficial in capturing your perfect moments in life. They all look and perform similarly, but they can vary significantly in terms of features, functionality, and build quality. Some are simply better than others. The ReTrak ETSELFIEB helps to showcase that sometimes simplicity is key. The design is simple; there are no outrageously eye-catching features or functions that cause it to stray away from what it really is. Made of steel, it can extend to a range of 12 inches to 38.4 inches. The battery life of about 100 hours is great too. 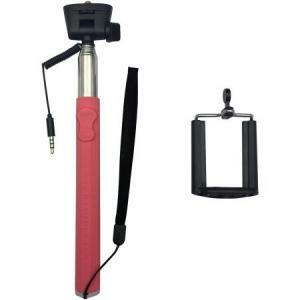 With a rotational, adjustable clasp of 180 degrees, it can offer some good selfie shot angles. Where and Why Are Selfie Sticks Banned? 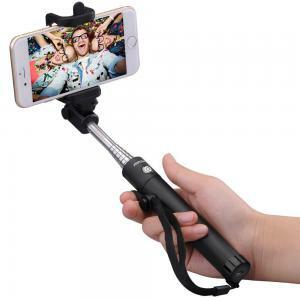 Currently the best-selling selfie stick on Best Buy with over 1,100 buyers/reviewers giving positive feedback, the ReTrak ETSELFIEB has an overall rating of over 4 stars out of 5. It sells for about $14. The Minisuit Lite 2015 Edition is battery-free in that it does not require the use of an integrated battery to power on and operate. It utilizes the 3.5mm port on your smartphone or digital device to function. This is convenient because you don't have to worry about the battery running out during crucial or important moments. The lightweight design makes it easy to carry on the go in your pocket or small bag without much of a hassle. Despite the small form factor, it has a large enough cradle to house even the largest of smartphones and digital devices proficiently. On Walmart's website, the Minisuit Lite 2015 Edition holds an impressive near perfect rating. It is listed at about $9. The Mpow iSnap X is small and portable. It can aid you in capturing your perfect angled shots thanks to its 270 degree rotational, adjustable head. It has a storage length of 7.1 inches and a weight of 6.7 ounces. This means carrying it in your pocket or in a small case will be a breeze and will not become a problem when venturing out and about. Plus, it comes with an adjustable wrist strap to help prevent slippage or falling damage. The Mpow iSnap X is widely popular on Amazon with an average rating of over 4 out of 5 stars. Thanks to the sheer number of buyers and reviews that it has received (over 4,000 to date), it has attained the title of the "#1 Best Seller in Selfie Sticks & Cell Phone Tripods" on Amazon. It retails for about $10. On the more expensive end of the price range is the Digipower Quikpod TP-QPXT Extreme. While it may be pricier than other options, it is also one of the most durable. It is made out of a high quality waterproof aluminum material and can extend from a range of 18 inches to 53 inches. Not only that, but it comes with a variety of attachments that you can utilize to help make carrying and capturing photos a cinch. There is also a built-in mirror that would come in handy when you are using a GoPro or other digital cameras without a front-facing display. Retailing for about $60, the Digipower Quikpod TP-QPXT Extreme was named by Business Insider editor Taylor Lorenz as "the best stick you can buy." A selfie stick highlighted by the Wall Street Journal's Joanna Stern is the GoPro 3-Way. Just like the Digipower Quikpod, it too is on the more expensive side, but it is also quite durable and very high quality. It can be utilized in three different ways, hence its name. 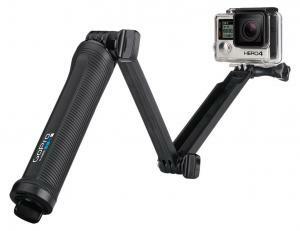 The waterproof GoPro 3-Way can be utilized as a camera grip, an extension arm, or a tripod. Since the handle acts like a storage compartment to help store the tripod, portability is a breeze. The GoPro 3-Way, which sells for about $70, was highly regarded by Joanna Stern to be very compact, offering great selfie shots thanks to its two jointed design. Plus, she was pleased with the tripod functionality as well since it offers a different means of capturing selfies. 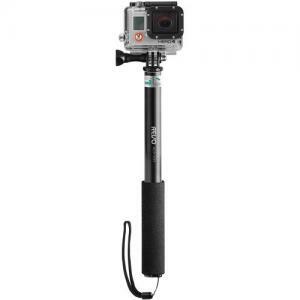 Another selfie stick that Joanna Stern featured on the Wall Street Journal and was fond of is the PolarPro PowerPole. It is made of durable aluminum and the handle is covered with texturized rubber to ensure a confident grip. It can extend from a range of 17 inches to 30 inches. The most useful and unique feature is that it has a built-in 5200 mAh battery that has been integrated into the pole. This means that you are able to charge your smartphone or digital device while you are capturing photos. 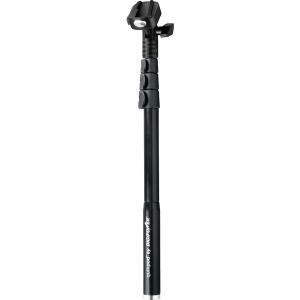 Stern claimed that the PolarPro PowerPole is like "the Tesla of selfie sticks" in that it is technologically advanced and luxurious. It is the most expensive of the bunch at around $100. This next selfie stick is one of the smallest and the lightest. It has one of the longest extension poles for its size too. 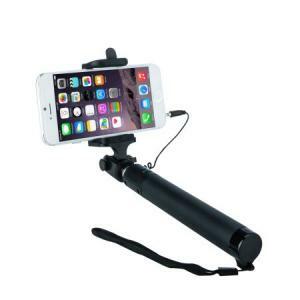 The Looq System DG-L001 Selfie Monopod measures 8.7 x 1.2 x 3.1 inches, weighing 3.5 ounces and extending from 8.2 inches to 41.7 inches. It does not utilize Bluetooth functionality to establish a connection since it uses the 3.5mm port on your smartphone or digital device. This wired connectivity is very convenient for those who do not want to use Bluetooth or to bother with constant recharging. In an article on Forbes, editor Nick Guy recommends the Looq as the best of the sticks he tested. He mentions that the wired connection as opposed to Bluetooth connectivity is what makes it fantastic to use. You can purchase one for about $14. 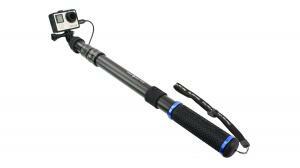 The Revo Adjustable S-S is a versatile, comfortable, and secured selfie stick. It can accommodate not only smartphones, but also GoPro cameras as well as compact point-and-shoot cameras and camcorders. Plus, it can accommodate a weight of about 2lbs and can extend from a range of 11 inches to 37 inches. The aluminum body and foam hand grip makes holding and utilizing it easy and comfortable. It comes with a wrist strap to allow for a more secured experience. The Revo Adjustable S-S was able to become the #1 best seller in its category on B&H. It currently has an excellent average rating of over 4 stars out of 5. You can pick one up for about $25. Selfie sticks, while they may seem like a gimmick, are actually more useful than you might think. Despite their common appearance, each one has its own distinct properties. Knowing which are the best and offer the highest quality can make all the difference. Just be mindful of places that have banned their use.